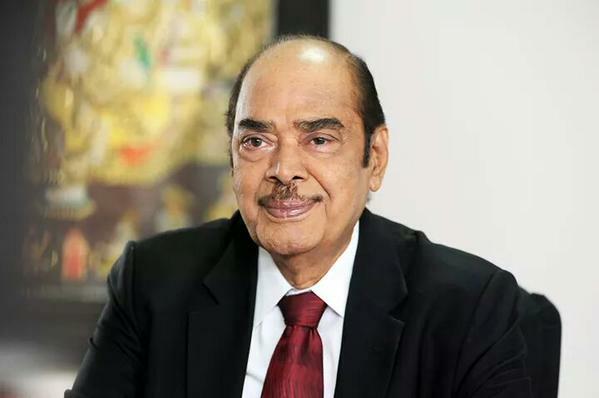 Entire Tollywood industry is shocked hearing that legendary producer Dr D Ramanaidu is no more. The expressed condolences to the daggubati family. Here are the tweets on the death of Ramanaidu. Deva Katta: no words or awards can match d legacy nd achievements of Naidu gaaru. He connected people with character and created value with honor. The extraordinary man lives in his actions wth us forever !! Harish Shankar: RIP Legend …. RAMANAIDU GAARUNo One would Replace him… A true Cinema Lover …. Anisha Ambrose: Shocked beyond words to hear about Rama Naidu Garu. I had the great privilege of meeting him on the sets of Gopala Gopala. My deepest condolences to the family. So many legends have passed on this year. It’s saddening to even think. RIP Rama Naidu Garu. Prakash Raj:Padma bhushana #Dr.Rama Naidu Garu… Thank you for enriching cinema.. We may never see the likes of u..Salute…RIP. Madhu Shalini: Saddened to hear about Sir Rama Naidu garu… Such a big loss to the Film Fraternity..
Ram: RIP #Ramanaidu Garu..Nothing I say will ever be enough to thank you for your contribution to d TFI! You shall live on for a long long time..